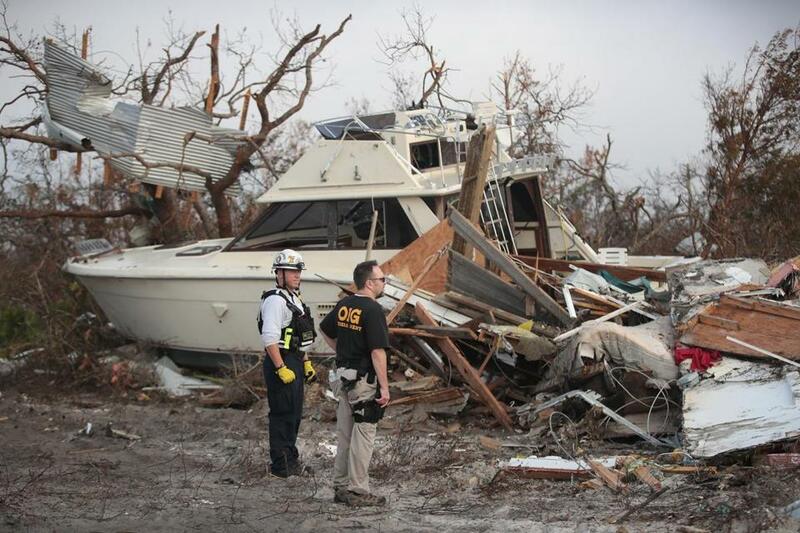 Search and rescue teams continue to search for victims of Hurricane Michael. TALLAHASSEE, Fla. — Hurricane Michael killed at least 16 people in Florida, most of them in the coastal county that took a direct hit from the storm, state emergency authorities said Tuesday. That’s in addition to at least 10 deaths elsewhere across the South. ‘‘We’re holding steady at two and don’t expect that number to rise,’’ the mayor said. ‘‘A lot of people didn’t even know we had evacuated and come back,’’ said Tanksley, whose phone runs off the Verizon network.